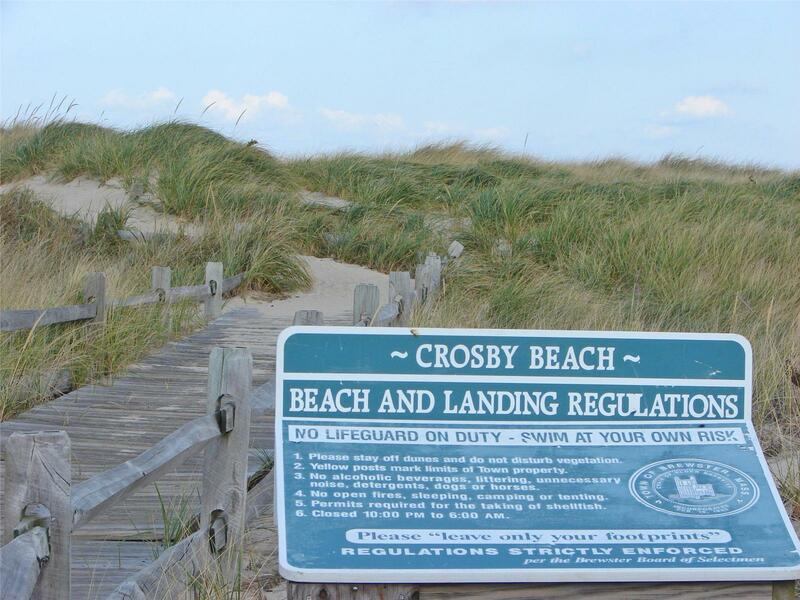 Crosby Landing Beach is a calm, bayside beach perfect for families and children. It is an expansive beach with warm waters that are perfect for swimming, and when the tide goes out, there are plenty of tide pools to play in and to explore. There is a good-sized parking area, and plenty of bike racks for those that wish to bike to the beach. Dogs and other pets are not allowed on public beaches, tidal flats, landings, and public ponds between the dates of May 1st and October 1st. 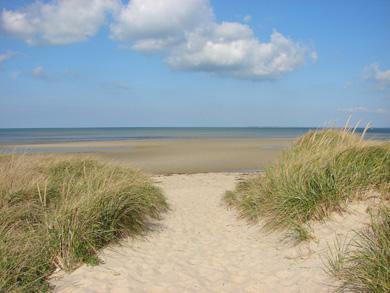 We love the expansive sand and the miles of flats at low tide for finding shells and crabs!! Great for little ones or ones who don't like big waves!! 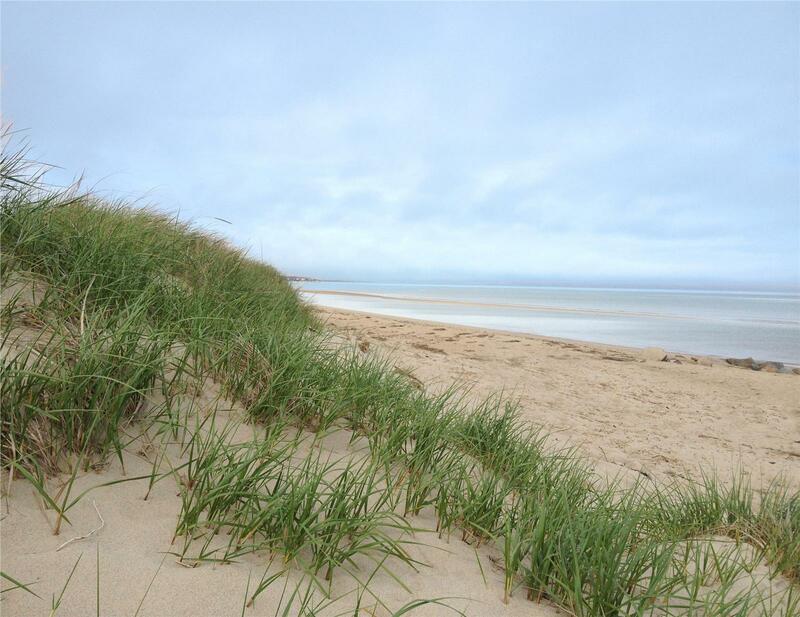 A small but beautiful beach located less than 10 minutes from our rental [Brewster Vacation Rental ID 4735]. You'll need to obtain a parking permit at Brewster Town Hall prior to parking in the lot, or you'll risk getting a ticket. The police patrol the lot regularly, and the $15 we spent on a one-day permit was worth avoiding a $30 fine. There is no concession so you'll have to bring in your own food and drink. 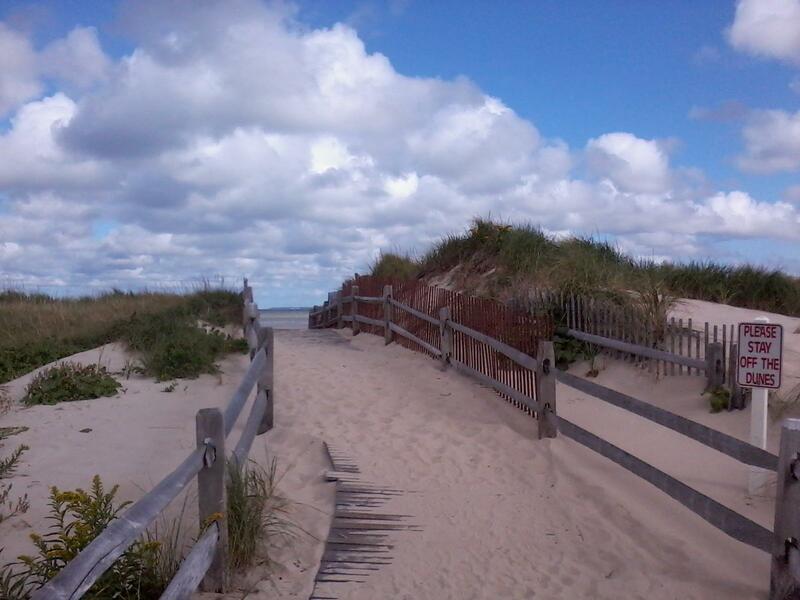 Still, it's one of my favorite beaches in Brewster. 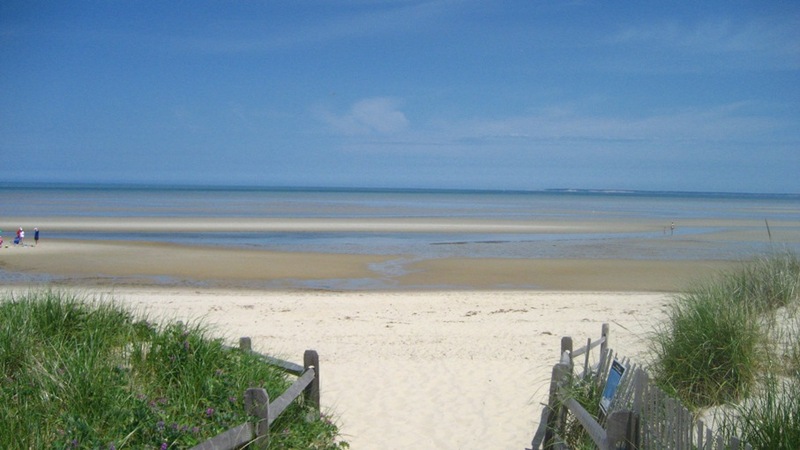 A beautiful beach within walking distance or a quick bike ride Brewster Vacation Rental ID 19782. Also, it was a great beach to take a walk on. Some surf but no strong undertow so wonderful for small children. Sunrise yoga at Crosby Landing Beach was both tranquil and exhilarating. Restrooms available, changing tides keep you busy, sand is gorgeous & rocks, shells always there for picking. When the tide is out, you can walk for miles and miles! When the tide is, you still have plenty of space to set up for a great day in the sun! 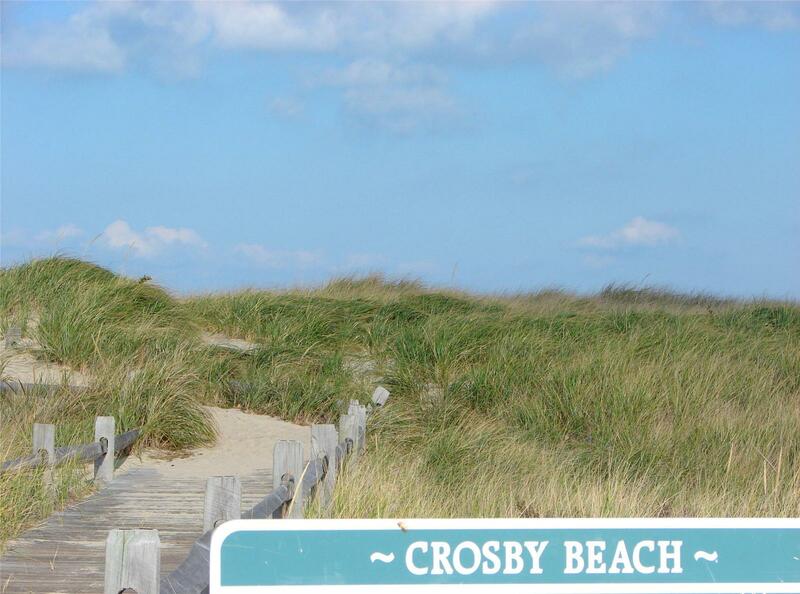 Crosby is a wide, long, sandy beach mostly backed by marsh. 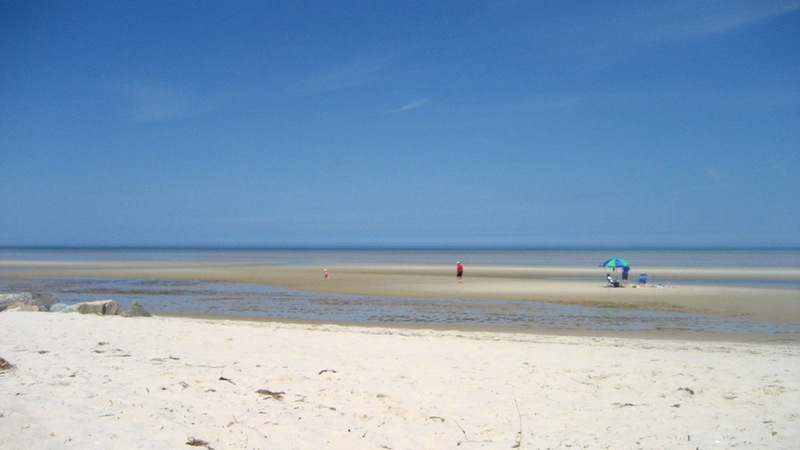 This is one of the most scenic of the Brewster's bay beaches. Crosby can get buggy when it is warm without wind (early summer green head flies can be a problem at times!) But, most of the time this beach is very pleasant. 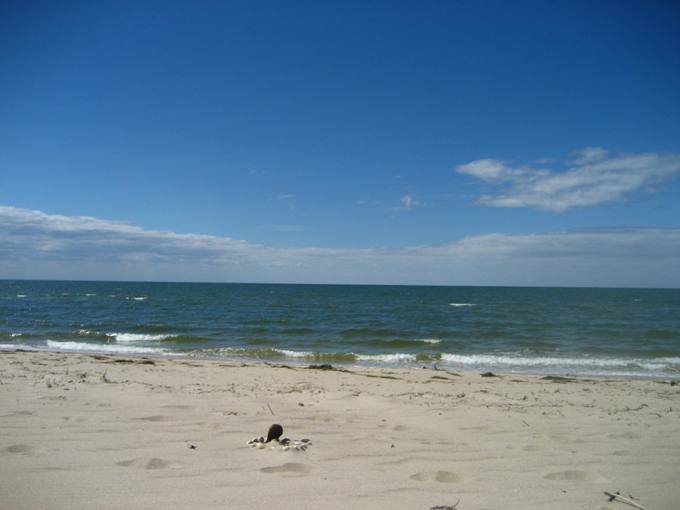 Because the beach is fairly large, it's always possibly to find an uncrowded stretch of beach. One of the easiest ways to get away from the crowd is to walk east from the parking long behind the dunes - most of the walking is easy and there are several branching trails to take you directly onto the beach. You don't have to walk terribly far! Parking can be a problem - if you drive to Crosby and expect to get a parking spot at 11am on a warm sunny July or August weekend, forget it. The lots will be full and Brewster's parking enforcement is aggressive. One option is to park at Nickerson park across 6A and bike down. Parking at non-peak times is rarely a problem. We enjoyed Crosby landing the most, even though it was a bit of a longer walk (20 min-not bad at all) Brewster Vacation Rental ID 26543. We felt is was less crowded than others and had cleaner sand. 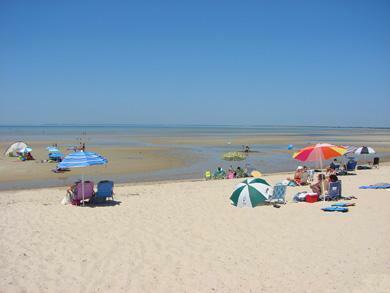 But you can't go wrong with any of the Brewster beaches!! Nothing beats the way the tide goes out. Great beach with tidal pools, warm waters and lots of sea life. 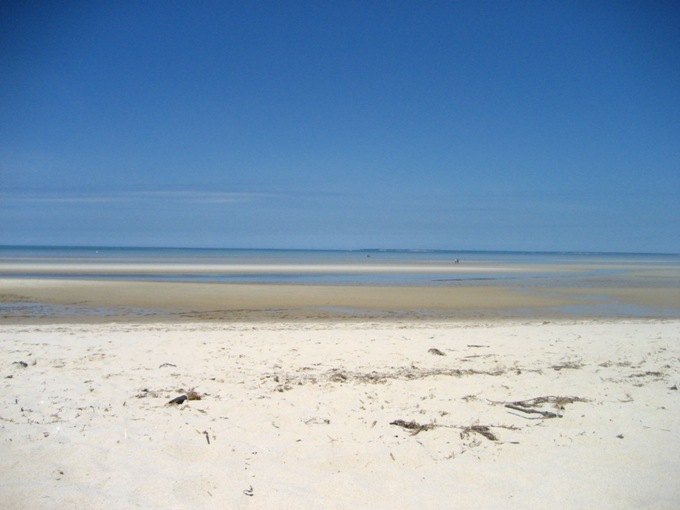 Long, wide sandy beach with a natural background - plenty of space to find some solitude or just enjoy some swimming. 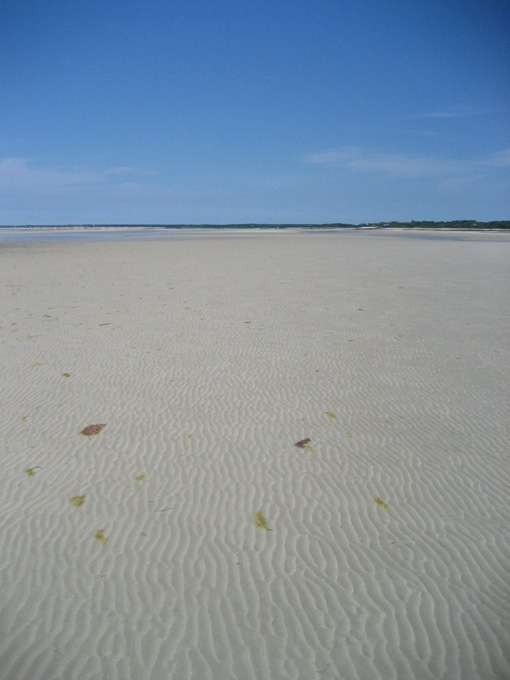 Only downside to the Brewster Bay beaches is the lack of water at low tide... But, this is always the best time to explore the tide pools. Quiet AM beach is great for walking. A perfect family beach. Especially enjoyable at sunset! Beautiful, flat, miles of walking when the tide is out. Safe for little ones to play. Always warm water in the spring. Crosby is great at low tide or high tide. 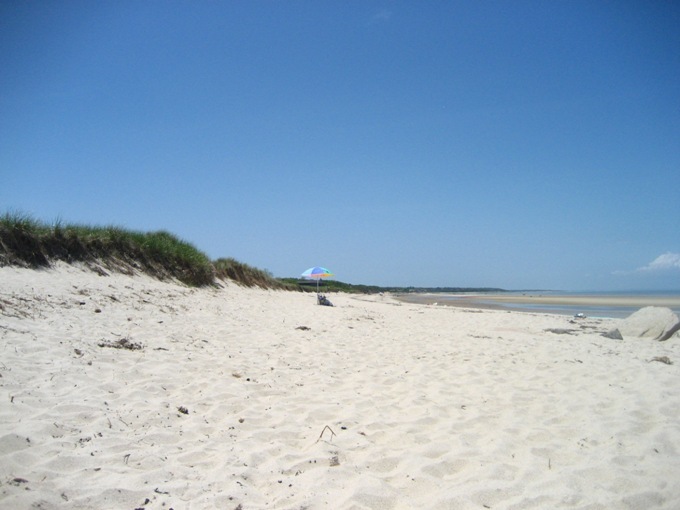 It's a long expanse of beach, the longest of Brewster's 8 bayside beaches. 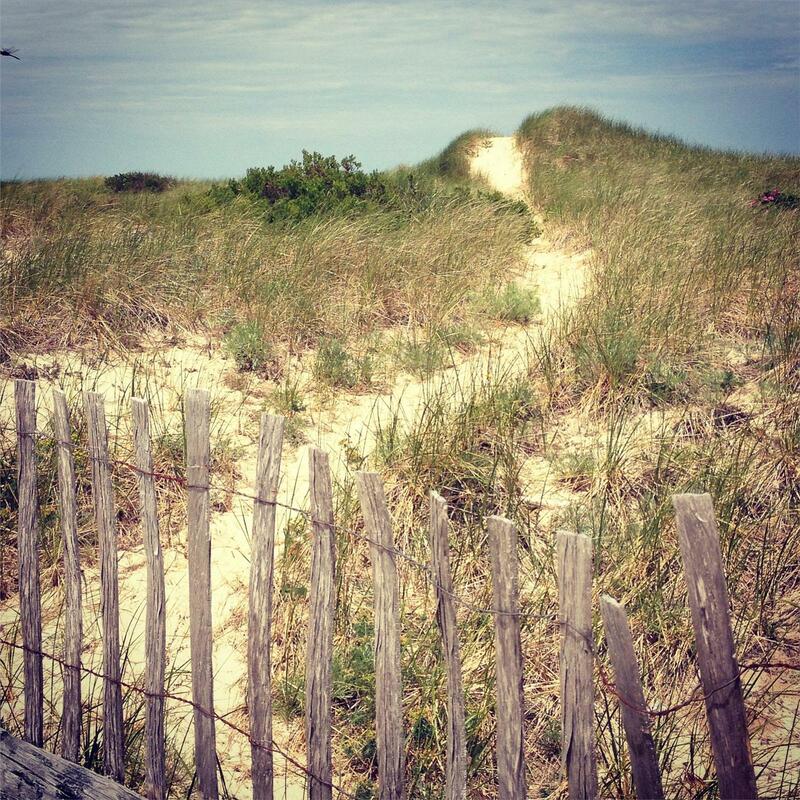 There is a long walking path and gorgeous vistas that on a clear day extend to Provincetown's monument. When the tide is out, you can walk miles across "the flats" for families and artists wanting a dramatic view. 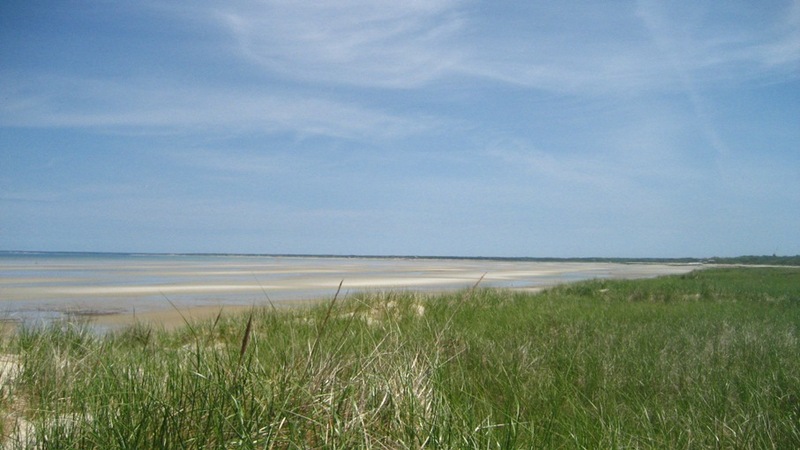 When the tide is in, the water is warmer by far than the Atlantic Ocean in mid-summer, and it is shallow enough in spots for young children to play and swim. If you like paddle-boarding, this is the place for you! 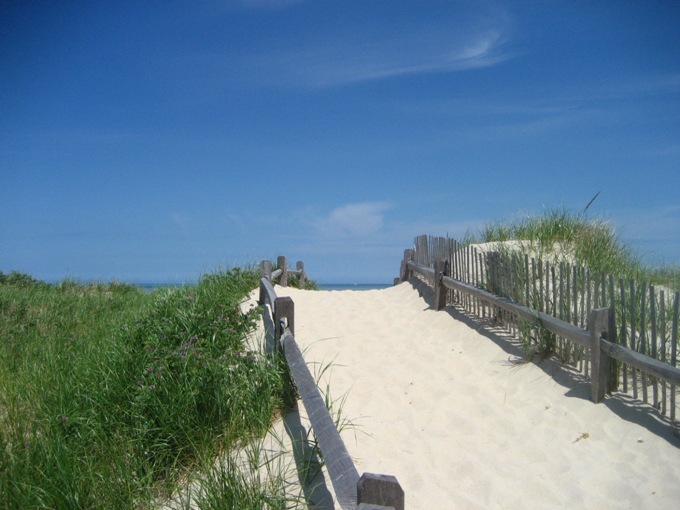 In addition, there is Nauset Beach for a dramatic view of the Atlantic Ocean and enough surf to suit the water sports crowd. 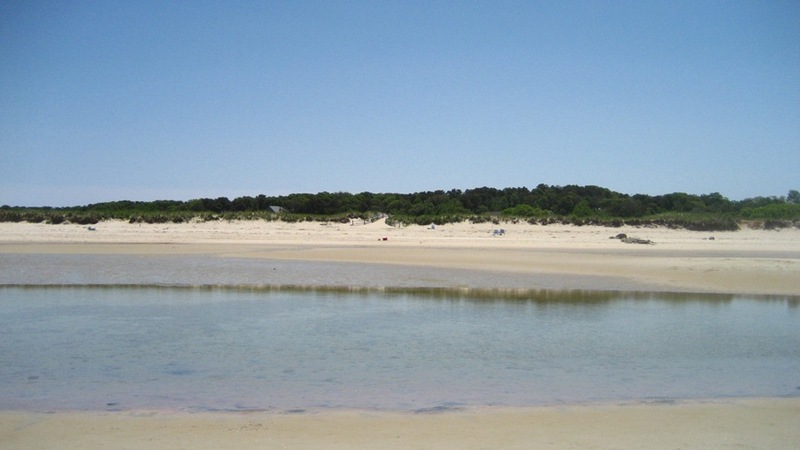 Of course there is also Sheep Pond and Long Pond, an easy walk from the house, with some of the clearest waters to be found on the Cape and the charming community beaches that are part of the neighborhood. 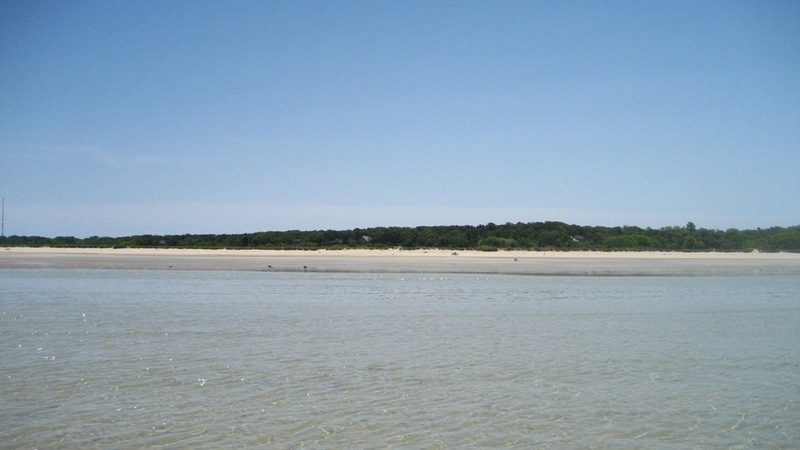 Miles of shallow mudflats at low tide made for wonderful crab-hunting adventures! And no worries about the kids. 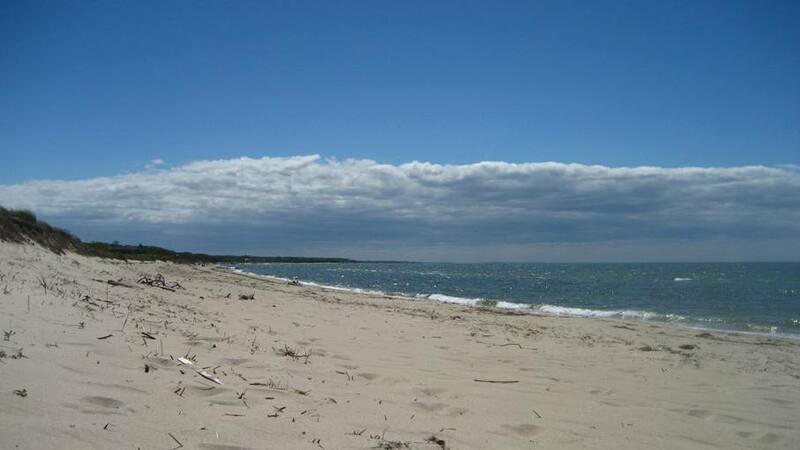 Love the quiet Brewster beaches! 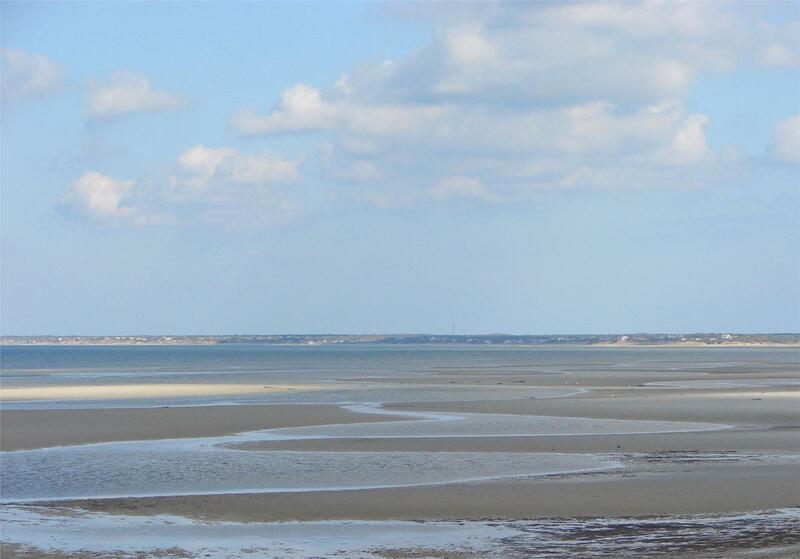 When the tide's out, you can walk the sand bars for over a mile! Stunning sunsets! Crosby Landing was recommended to us when we bought our weekly beach sticker. It has a larger parking lot, the dunes are nice and, since we are afternoon beach people without kids, we always got a space and it was really perfect! Reduced rates for open weeks!